It's been 3 good days in a row. I still can't believe it! My face is basically back to normal. No swelling, no shedding, no redness, no weeping. It's a tiny bit itchy and a tiny bit dry, but it looks fantastic. 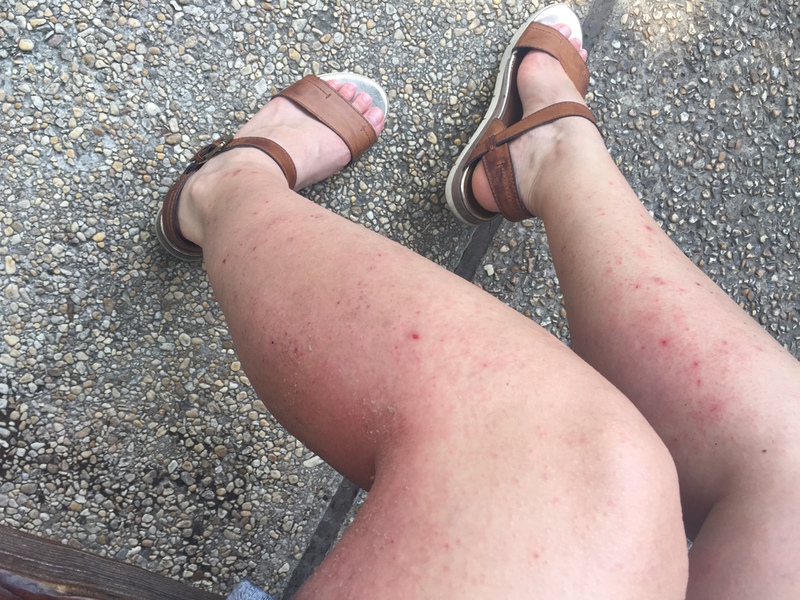 And much of my body has healed - my legs are still rashy, red, itchy and with scabs, but they are getting better. Here's the deal on steroids and my pregnancy: I've been avoiding them throughout my entire pregnancy and it has been hell. My dermatologist and allergist told me to not take them and my OBGYN all along has said they are okay. I saw my OBGYN last Friday and asked why she had a different opinion. She said people tend to overreact with pregnant woman and very confidently said that steroid creams and pills are okay during pregnancy. She guaranteed that the medication doesn't cross the placenta. So yes, it's still a category C medication, where a woman should only take it if the benefits outweigh the risks, but the reality is that the risks are itty bitty. I take itty bitty risks all the time. Getting in my car and driving in the rain is a risk, for crying out loud. So, I ordered a steroid pack. Coincidentally, my skin got better at the same time, so I didn't start it, but I plan on using it if my skin turns again. I'm not going back to how it has been the last five months. I'm going to focus on my pregnancy instead of my skin. I swear, I can feel her kicking more all of a sudden. It's probably because I'm not obsessing over my itchy skin. I am full of hope, optimism and happiness right now!